During its testing period prior to beginning science operations this month, the exoplanet space telescope TESS spotted in one series of images a comet, a host of variable stars, some asteroids, and even the faint hint of some reflected light from Mars. In addition to the comet, the images reveal a treasure trove of other astronomical activity. The stars appear to shift between white and black as a result of image processing. The shift also highlights variable stars — which change brightness either as a result of pulsation, rapid rotation, or by eclipsing binary neighbors. Asteroids in our solar system appear as small white dots moving across the field of view. Towards the end of the video, one can see a faint broad arc of light moving across the middle section of the frame from left to right. This is stray light from Mars, which is located outside the frame. The images were taken when Mars was at its brightest near opposition, or its closest distance, to Earth. The video that was compiled from these images is embedded below the fold. Pluto formed from a billion comets? Scientists have come up with a new theory for the origin of Pluto, based on data from New Horizons and Rosetta, that suggests the planets formed from the accretion of a billion comets or Kuiper Belt objects. This is only a hypothesis, but it is intriguing. It suggests that Pluto’s make-up came only from the outer parts of the solar system, thus constraining how much mixing between the solar system’s inner and outer regions occurred. For scientists trying to understand the formation of the entire solar system, this lack of mixing would be significant. It means that the gas giants, while migrating inward, never migrated outward. Astronomers now think they have pinned the orbits of about 340 comets to another star’s close approach to our solar system 70,000 years ago. About 70,000 years ago, when the human species was already on Earth, a small reddish star approached our solar system and gravitationally disturbed comets and asteroids. Astronomers from the Complutense University of Madrid and the University of Cambridge have verified that the movement of some of these objects is still marked by that stellar encounter. At a time when modern humans were beginning to leave Africa and the Neanderthals were living on our planet, Scholz’s star – named after the German astronomer who discovered it – approached less than a light-year from the Sun. Nowadays it is almost 20 light-years away, but 70,000 years ago it entered the Oort cloud, a reservoir of trans-Neptunian objects located at the confines of the solar system. It is likely that the close approach influenced a lot more objects, many of which might not have yet arrived in the inner solar system. Moreover, their computer models suggest that the star might have come closer to the Sun than 0.6 light years. Worlds without end: Astronomers using the Hubble Space Telescope have identified a strange new object in the asteroid belt, two asteroids closely orbiting each other while also acting like a comet. The data also suggests that this binary has only existed as such for a few thousand years, and probably broke into two pieces because of its rotation. 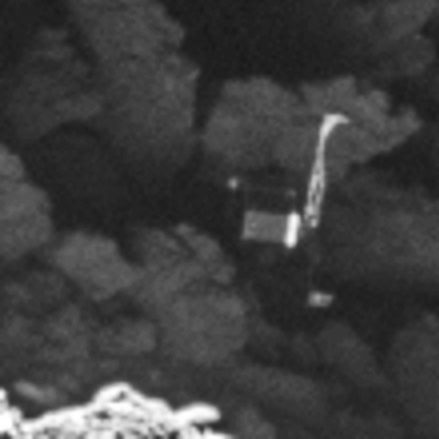 When this happened, it exposed water ice buried below the surface, which having been exposed to sunlight is sublimating away and producing the binary’s cometlike of a tail and coma. Using data from the WISE space telescope, astronomers have found that there are more comets lurking in the far reaches of the solar system than they had predicted. 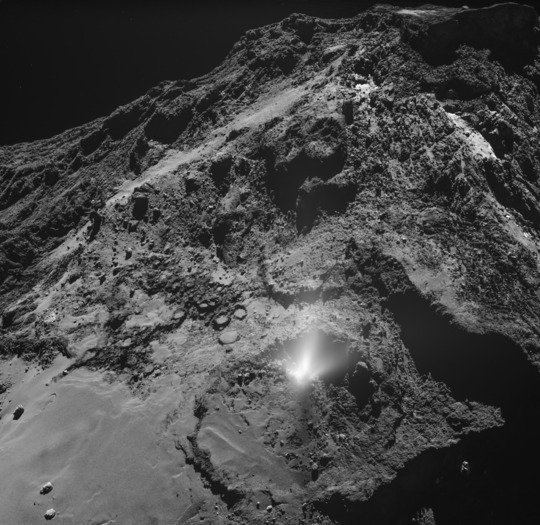 Scientists found that there are about seven times more long-period comets measuring at least 0.6 miles (1 kilometer) across than had been predicted previously. They also found that long-period comets are on average up to twice as large as “Jupiter family comets,” whose orbits are shaped by Jupiter’s gravity and have periods of less than 20 years. Researchers also observed that in eight months, three to five times as many long-period comets passed by the Sun than had been predicted. These are comets whose orbits never allow them to come close to the inner solar system, which allows them to remain puffy and large. Astronomers have confirmed that the Wow! signal, thought to be the most promising detection by SETI of alien life, was actually caused by a comet. 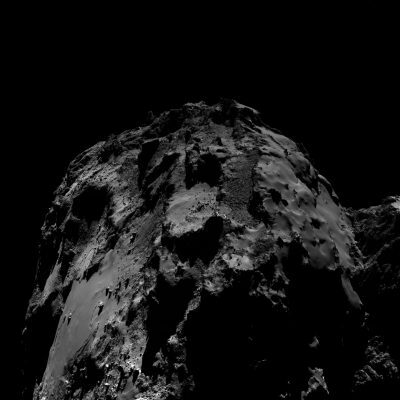 Last year, a group of researchers from the Center of Planetary Science proposed a new hypothesis that argued a comet might be the culprit. The frequency could be caused by the hydrogen cloud they carry, and the fact that they move accounts for why it seemingly disappeared. 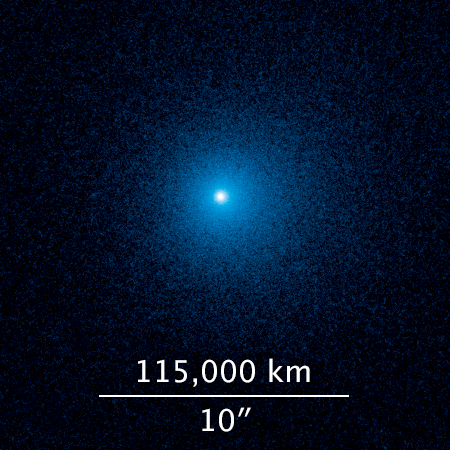 Two comets, named 266/P Christensen and P/2008 Y2 (Gibbs), happened to be transiting through that region of space when the Wow! signal was detected, but they weren’t discovered until after 2006. To test the hypothesis, the team made 200 radio spectrum observations between November 2016 and February 2017. Sure enough, 266/P Christensen was found to emit radio waves at a frequency of 1,420 MHz, and to double check, the researchers moved their radio telescope by one degree. As expected, the signal vanished, and only returned when the telescope was trained back on the comet. This story demonstrates once again why, in science, it is very dangerous to jump to any conclusions. The data we receive is a mystery. We must keep an open mind to solve that mystery. Astronomers have discovered a main belt asteroid that six years ago broke in two, after which both pieces developed tails resembling comets. “The results derived from the evolution of the orbit show that the asteroid fragmented approximately six years ago, which makes it the youngest known asteroid pair in the Solar System to date,” says Fernando Moreno, researcher at the Institute of Astrophysics of Andalusia (IAA-CSIC), in charge of the project. P/2016 J1 presents another important peculiarity, which makes it very unusual. 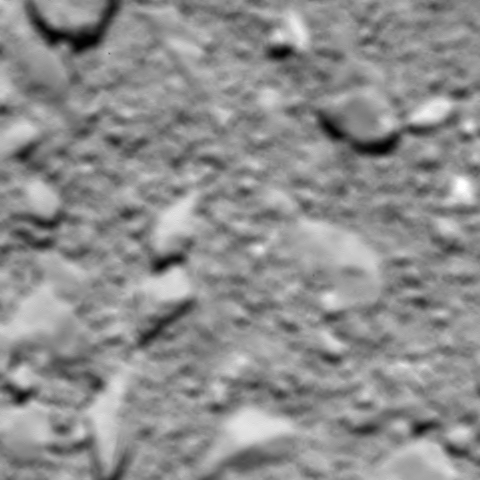 “Both fragments are activated, i.e., they display dust structures similar to comets. This is the first time we observe an asteroid pair with simultaneous activity,” says Fernando Moreno (IAA-CSIC). Analyses revealed that the asteroids were activated near their perihelion – the point on the orbit nearest to de Sun – between the end of 2015 and the beginning of 2016, and that they remained for a period of between six and nine months. The span of time between the moment of fragmentation and their bout of activity implies that the two events are not related. In fact, the data suggests that the fragmentation also happened near the perihelion but during the previous orbit (it takes P/2016 J1 5.65 years to spin around the Sun). “In all likelihood, the dust emission is due to the sublimation of ice that was left exposed after the fragmentation,” says Moreno (IAA-CSIC). 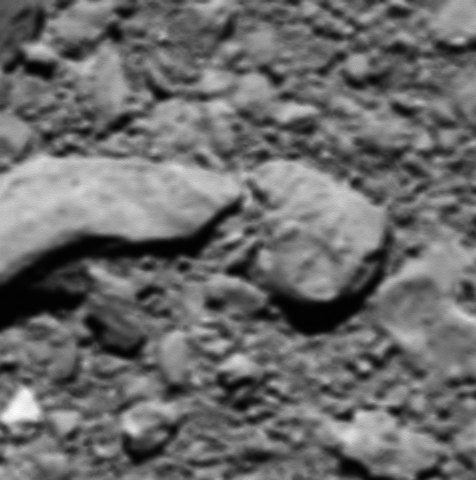 I suspect that the more we learn about asteroids and comets the more we will blur the line that separates them. On February 12 members of the amateur astronomy organization Slooh actually viewed the break-up of Comet 73P/Schwassmann-Wachmann into two large fragments. On the night of February 12th, Slooh members using the company’s telescopes in Chile were able to view the comet as it broke into two pieces. This seems to be the continuation of a process that was first witnessed in 1995, then again in 2006. They have created an animation from their images, but it appears that they only started taking images after the actual breakup, so the animation shows the two fragments, but not the moment they broke apart.